ETS is your partner of choice for all fulfilment services, for logistics outsourcing and for order processing in the area of eCommerce. We handle your logistics – complete with warehousing, goods processing, value added services and returns management. Boost your sales through faster and more cost-effective shipping underpinned by our expertise in choosing tailored CEP services. We have been delivering goods to distributors and distribution centres, traders, shops and private end customers with know-how and passion for many years now, and our operations are always geared towards your success. We have the flexibility to adapt to your requirements and our pricing structures are always transparent – which means you have more time for your core business. Together with our network of partners in all relevant ports, we set your multimodal transport in motion worldwide in the segment of door-to-door transports and cross trades. We bring freight of all kinds – whether full or part containers as well as smaller-quantity consignments – reliably to any desired destination based on the door-to-door principle. We offer tailored transport services using a cost-efficient combination of air freight, sea freight and land transport by road and rail. You can also take advantage of our services in areas like customs clearance, insurance and online delivery status. 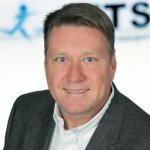 A defined contact person at ETS is at your disposal for any questions you might have.